Save The Earth with Art! We’re really big on using art to make statements on things that hold relevance in the world today. In a world where the personal is political, art stands as a brilliant way to trigger and engage in political discourse. One of the more salient facets of art, is the personal element. Different artists go through different processes; the culmination of the artistic process being the work itself. There is no one correct way to go about producing a piece of artwork. That being said, when using your art to make a political statement, there are a few tips and pointers we’d like to share on how to go about it! As mentioned earlier, the intricacies of your artistic process are yours and yours alone. On the flip side, there are certain items to keep in mind, that can really help you make a political statement through your artwork. The first thing you want is clarity. Be very clear on the political statement you wish to make. Because you are working with visual elements rather than words, often the end meaning will be up for grabs, as your art will be subject to interpretation by the viewer. So considering that eventuality, it’s best to at least start off as clear as possible, in order to minimize misinterpretation later. Writing up a preliminary summary of what you hope to communicate, as a first step, is an excellent way to refine your own ideas on the subject, and will help you make the statement effectively! It is incredibly important to be informed before you make a political statement in public, and that goes for all activists, regardless of medium. If for example, the statement you wish to make is linked to a certain situation, research that situation and its historical context. Discover the details that can both inspire and be incorporated into your artwork, and make sure you that understand what really occurred, so as not to base your opinions on false assumptions. It always helps to be very specific when it comes to making a political statement through your art. Once you have crossed the research phase, you should have ample material to work with. If the political statement you’re trying to make is on environmental degradation for instance, find out specific situations that you can depict in your work which convey the right message. The more specific you are, the stronger your statement is likely to be! Once you’re clear on the message and the image or object you wish to make, determine what medium and style would be best for your subject matter. Is it a specific scene or person, whom you would need to render in great detail, or realistically, in order to make your point? Or are you more concerned with an abstract concept regarding your subject matter, which would be best executed in a looser style or with unconventional materials, like found objects or household items? Make some sketches, and don’t be afraid to play with different materials to make mockups and maquettes. Being clear on the medium can help you better plan your work, as does understanding what style you wish to employ! Last but not least, when it comes to making political statements through your work, where and how you display it, can very much be a part of the message you’re trying to get across. Open public spaces for instance, where there is a high degree of human traffic, can be ideal when it comes to putting out a loud political piece! Art is a great way to make a political statement, and depending on how you go about it, it can be extremely effective. 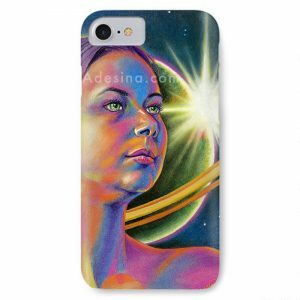 If you enjoy political artwork and are looking for images and sculptures that inspire both thought and social action, feel free to check out artist Adesina and her growing collection of artwork for sale in NY at Adesina.com! Sanchez’s work is layered, well informed, and politically driven, while being both aesthetically appealing and emotionally inspiring. This is the portfolio showcase of NYC Visual Artist Adesina. "Adesina" means "She Opens the Way for More," and Adesina's aim is to open your heart to inquire, to feel, and to do more: in the world, in our communities, & for our spiritual selves. Copyright Adesina Sanchez & Adesina LLC ©2001-2019. All Rights Reserved. Adesina ® is a registered trademark.